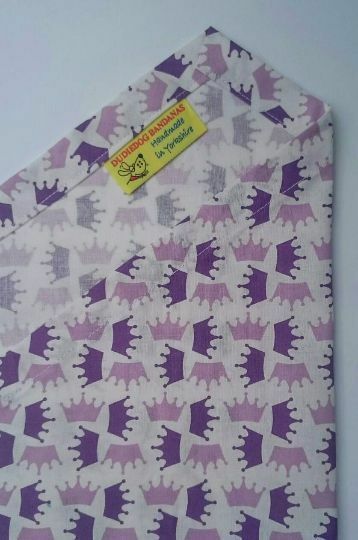 A lovely Princess Dog Bandana with Lilac and Purple Crowns on an off white background.This is from our Premium range, and it's the perfect bandana for any Princess Dudette who considers herself superior / Royalty! 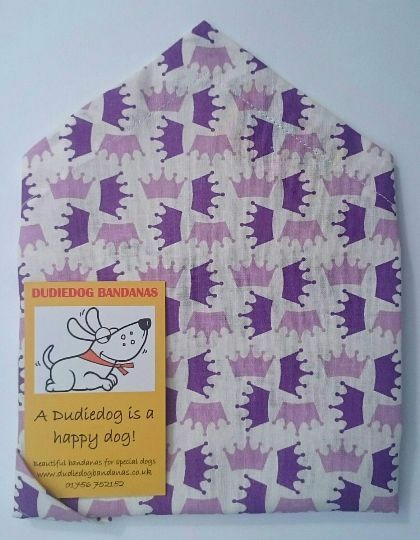 If your dog rules the roost this is the bandana for her! Fabulous for the fun loving dog about town or country!! Perfect for parties or simply posing! 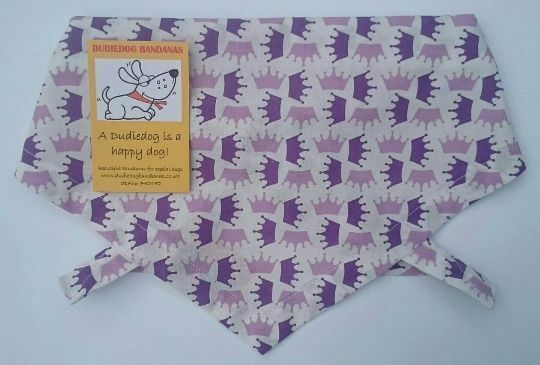 Great for the active dog....she will certainly stand out from the crowd in this bandana, and is sure to get all of the attention and admiration she expects!